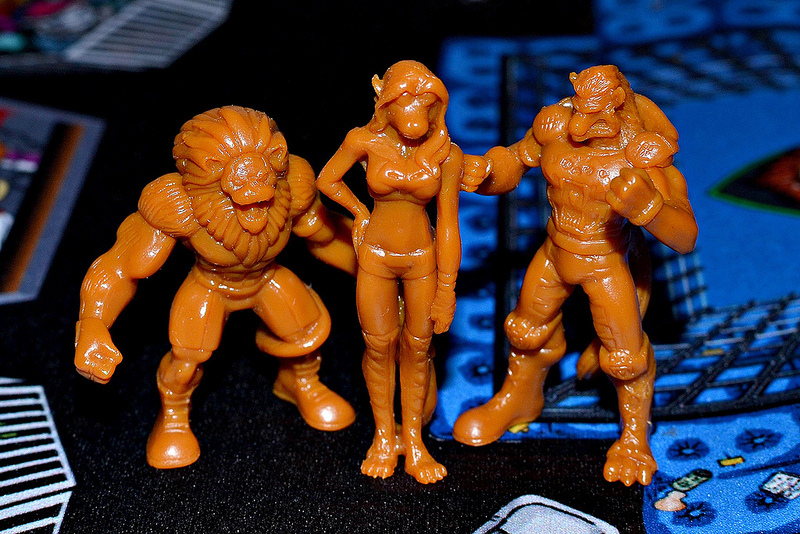 There's been some exciting news with the Mystical Warriors of the Ring toy line over the past couple weeks. 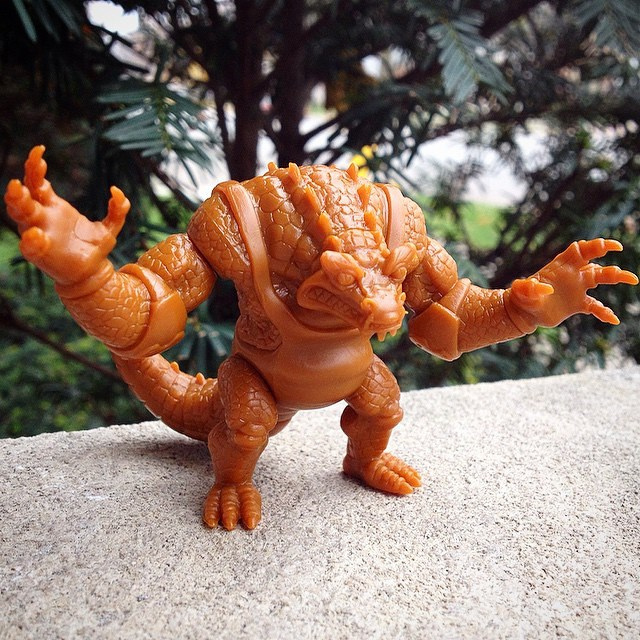 In addition to the characters and preliminary sculpts of the upcoming Series 2 three-pack being revealed, there was also a big announcement that the line's crocodile character, Goliath, is coming soon as a Glyos-compatible figure in PVC. Goliath comes as part of a new branch of MWOTR called "Evolution." 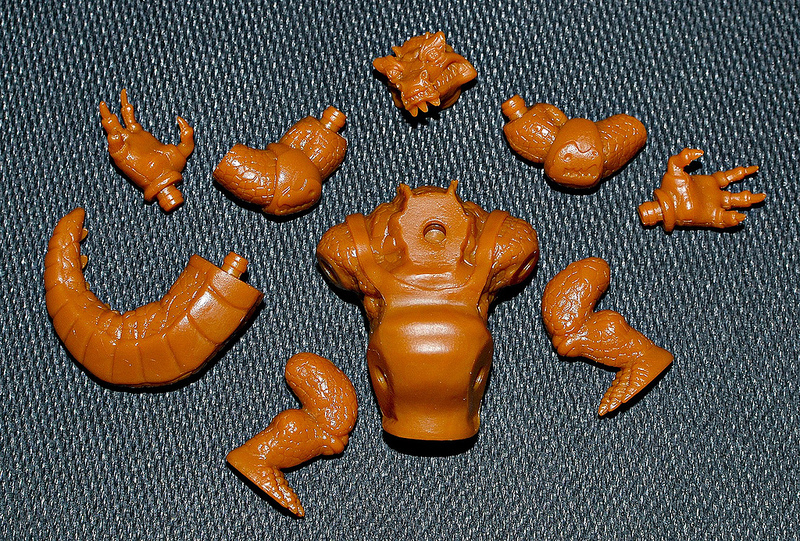 The difference between Evolution Goliath and the other MWOTR figures released so far is that it makes use of the Glyos system, meaning that it's actually a mini action figure made up of different pieces that can be taken apart and put back together. You might remember that Goliath was one of the figures in the first ever MWOTR set released in 2013. 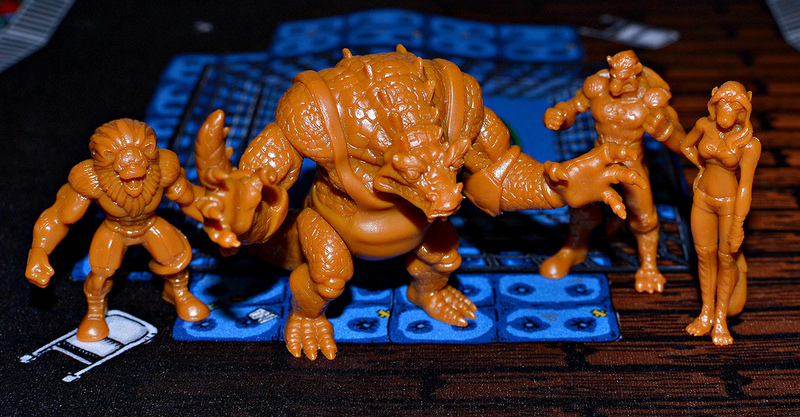 While that figure was made of urethane/resin and not articulated, the way Evolution Goliath is being produced is not only a clever method for getting this big, bulky guy out in PVC form, but it also allows for a very fun toy. The figure is articulated at the neck, tail, arms, wrists, and thighs, so it can be put into tons of different poses. Evolution Goliath is expected to be released by year's end, but a limited number of "test shot" figures were already sold in the brown color seen here. The color of the figure for the actual upcoming release is yet to be revealed. Depending on the success of this figure, we'll hopefully see some of the lines other "giant" characters get the Evolution treatment. These figures were also previewed in a limited batch as brown-colored test shots, but it should be noted that some changes were given to the factory and tweaks are being made. So, the figures shown here are not final and the actual production figures will have some differences. At the time writing this, some of the Series 2 test shot sets are still available to purchase here. The actual production figures are tentatively scheduled for release in January/February 2015. Series 3 and 4 are already in the works too, so there should be plenty more to look forward to on the MWOTR front! As always, for more info and to keep up with all the latest MWOTR news, keep an eye on the line's blog and new Facebook page.